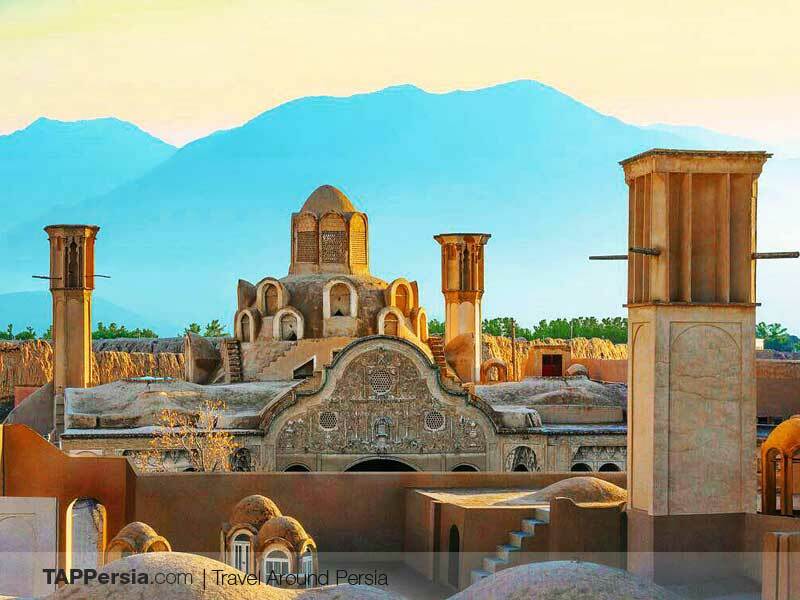 Kashan, located in altitude of 1,600 m. above see level, is one of the main cities of Isfahan province. It is 240 km. 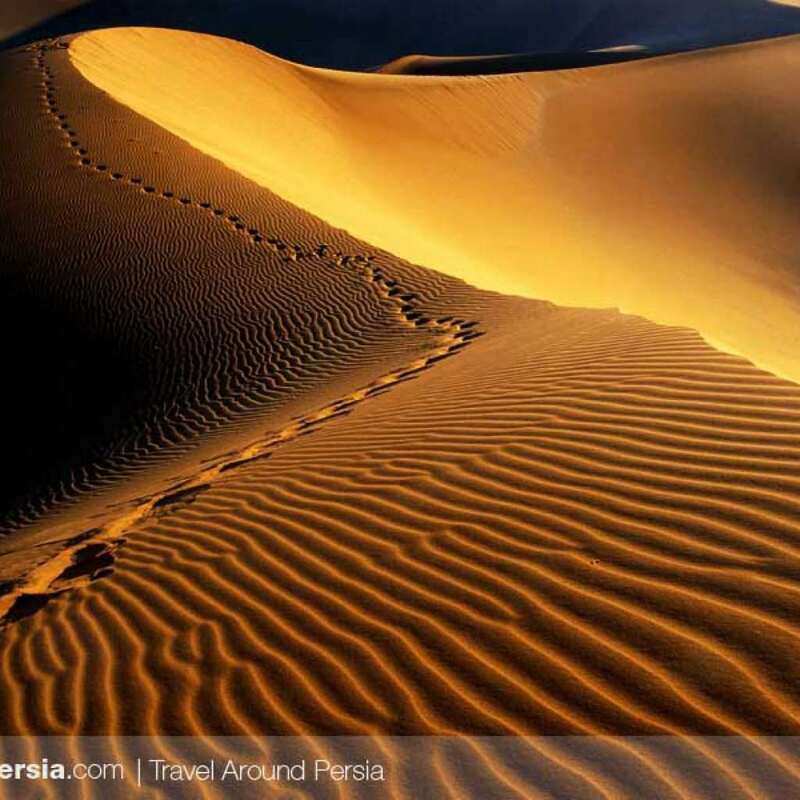 to the south of Tehran and 220 km. 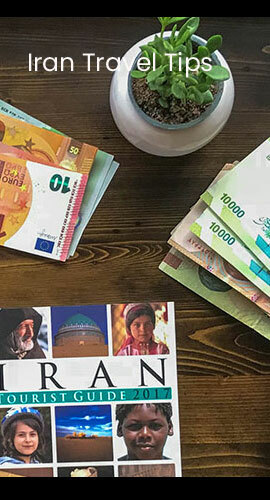 to the north of Isfahan and can be reached via a first-class highway, national road, or railway from Tehran and Isfahan. Its famous souvenirs are carpets that are world-famous; it’s also well-known for its silk and the glazed earthenware tile called kashi. 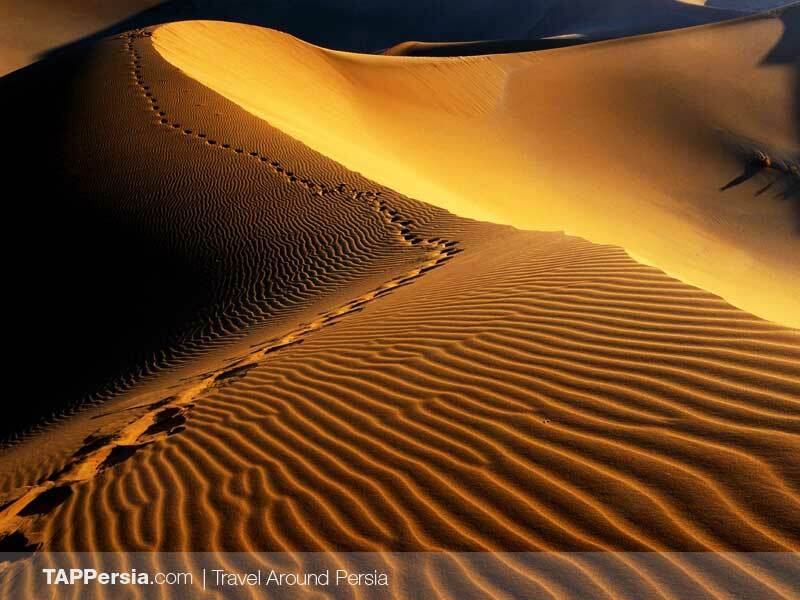 Kashan is a beautiful large oasis town on the western edge of the Great Desert Kavir. The city has long been noted for its silk textiles, ceramics, copper ware, rose water (golab) from the well-known rose fields of Qamsar, as well. The town has many picturesque bad-girs (wind-towers), essential in the towns hot and airless summers before the introduction of air-conditioning. Modern industry plays a part in Kashan, in parallel with the ongoing social development. In bazaar, however, carpet-weaving, embroidery work, the making of rose water and scent, pottery and other crafts are carried on in much the same and with the same skill as of old. 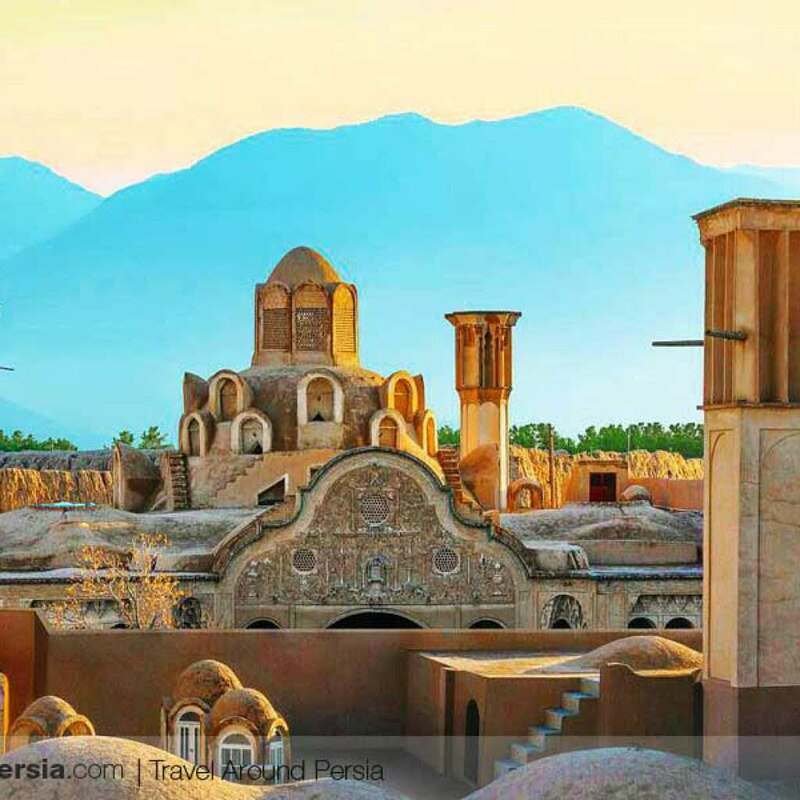 The geographical and climatic location of Kashan provides an appropriate condition for life and commerce as well as an enjoyable tourist center.